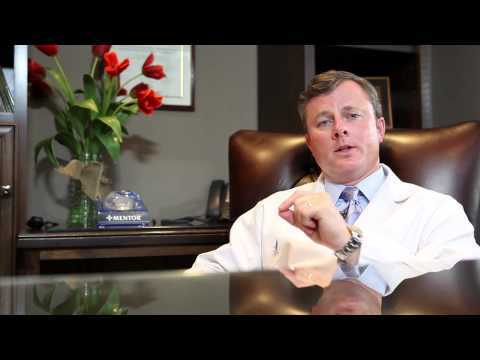 Hi, my name is John Connors, and I am a board-certified plastic surgeon practicing in Atlanta, Georgia. One of the most popular conversations that I have with patients centers around the mommy makeover, and that is not necessarily a generic, cookie cutter procedure. It incorporates a lot of different procedures, but one of the most popular components of it is the abdominoplasty, otherwise known as a tummy tuck. I think it's critical when patients and I discuss this I examine them. I look at their skin, their soft tissue, look for stretch marks, look for loose abdominal wall muscles that typically get stretched out with pregnancy, and I look at fatty tissue content. The tummy tuck for me really is an artistic operation. There's science behind it, but there's also a lot of art. I think that placement of the incision at the time of marking the tummy tuck is critical. I really hate to see incisions that are so high that patients become bikini cripples at the time that they really want to wear a bikini in the summer. I actually have them, at the time of surgery, bring a bathing suit or a favorite pair of underwear, and we actually mark together where they'd like to have that incision lie. I think with opportunistic and artistic planning before surgery, that really alleviates a lot of the postoperative issues with scars. The other aspect and critical component of a tummy tuck is the tightening of the muscles. Many surgeons tighten the muscle right in the midline, and I think that's great, but typically it will flatten the abdomen. I think to really contour the abdomen and to maintain a blood supply that also, to maintain and achieve a fantastic result, I typically will place some sutures in the lateral abdominal wall, along with the obliques. This really cinches in and hourglasses the abdomen, and that maneuver is critical to a fantastic result. Incision placement, muscle tightening, and the third most important is the construction of the belly button. Patients are always bringing in pictures of natural belly buttons with no surgical scars on them and telling me that they would like to achieve that result. I think over the years, you know there's no textbook that says this is how to perform a tummy tuck and do a great belly button. Over the years I've really studied my results and I've developed a technique that I think really helps produce a very natural lying belly button. I look forward to seeing you at your consultation and helping you achieve fantastic surgical results.